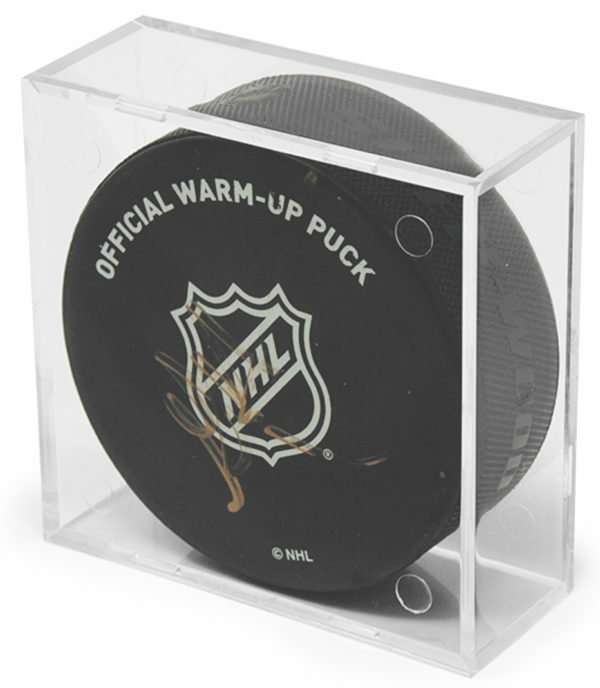 Has someone disturbed your hockey collectible due to its lacking a hockey puck display case? Or a hockey stick display case? Well, we think that’s practically reason enough to drop the gloves and go to the penalty box. No one needs to worry about their hockey memorabilia being nudged or damaged due to inconveniently designed storage mediums manufactured on far away continents. Instead, we offer a better option in hockey puck display cases. Two-piece and stackable, they don’t take up much space. Also, we make them from durable materials you won’t have to fret over. Keep commemorative, game or nostalgic hockey pucks safely displayed in our hockey puck displays. With our innovative puck display design, you’ll be able to stack and store far more pucks in a small space than other displays are capable of doing. 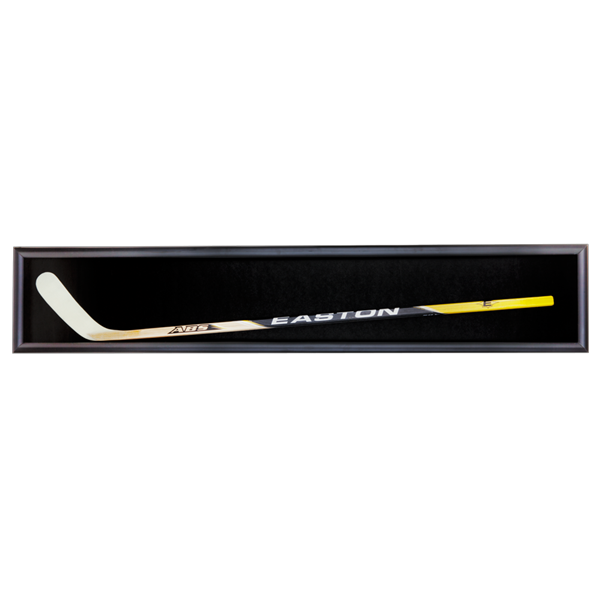 We also offer hockey stick displays with black backgrounds perfect for displaying the stick that you are preserving for your own pleasure or archiving. Our hockey displays work for archival use, whether you intend to keep items in deep storage or you need to curate for a museum display.